Get Dental Implants in North Dallas Three Different Ways! While it isn’t as common, some patients have so many dental problems that they simply don’t know where to start. Multiple teeth with decay and discoloration can make them uncomfortable to show their smile. Missing teeth forces them to make permanent changes to their diet. Luckily, it doesn’t always have to be this way. 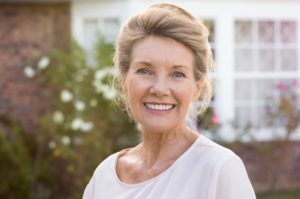 With the help of dental implants in North Dallas, you can achieve what your dentist calls a full mouth reconstruction. To learn more about the process and the many solutions to tooth loss, keep reading. Full mouth reconstructions are similar to smile makeovers, except they tend to go a step further. Smile makeovers tend to have a more cosmetic angle to them, but full mouth reconstructions include replacing and restoring the health and function of your teeth, not just their appearance. While their appearances can also be improved, the main priority is getting your mouth’s functions back to normal. Today, we’ll be discussing three of the main methods your dentist does this through dental implants. To precisely plan your placement, a 3D cone beam scanner takes a 360-degree image of your mouth. Once you arrive for surgery, the dentist will make a small incision in your gum tissue and place the implant, followed by a protective healing cap. Depending on where it’s placed, the implant will take three to six months to heal. Afterwards, you’ll come back to have the implant-retained crown placed on top. For patients trying to replace multiple missing teeth, consider implant-retained dental bridges. You can replace up to three teeth at a time by attaching prosthetics to healthy adjacent teeth. The implant will sit in between the two prosthetics, which are placed on top of your existing teeth, effectively creating the “bridge” and restoring your smile for less money. As a bonus, bridges supported with implants are sturdier and more natural than traditional bridges. To learn more about the many solutions of tooth replacement through dental implants in North Dallas, schedule a consultation with your dentist today! Dr. Hodong Kwon earned his Doctor of Dental Surgery degree from the State University of New York Buffalo School of Dental Medicine. He went on to complete his Advanced Education in General Dentistry residency to learn cosmetic and implant training. To learn more about his practice, contact him through his website. Comments Off on Get Dental Implants in North Dallas Three Different Ways!